← Even More Comfort Food – Chicken and Biscuits (Or biscuit topped chicken pot pie)! I find it just as easy, more tasty and far more economical to make my own salad dressing. The salad dressing at Olive Garden is probably my husband’s favorite. I actually found this by accident when I went looking for a new homemade dressing to make to complement a meal I was making for a friend after surgery. The week 22 recipe in the 52 Week New Recipe Challenge is a copycat version of Olive Garden’s salad dressing. My husband, the expert on this dressing, was pleasantly surprised. Combine all ingredients in a glass jar with a tight-fitting lid. Shake vigorously, holding lid, until all ingredients are thoroughly combined. Use immediately or store in the refrigerator until ready to serve. Shake before serving. 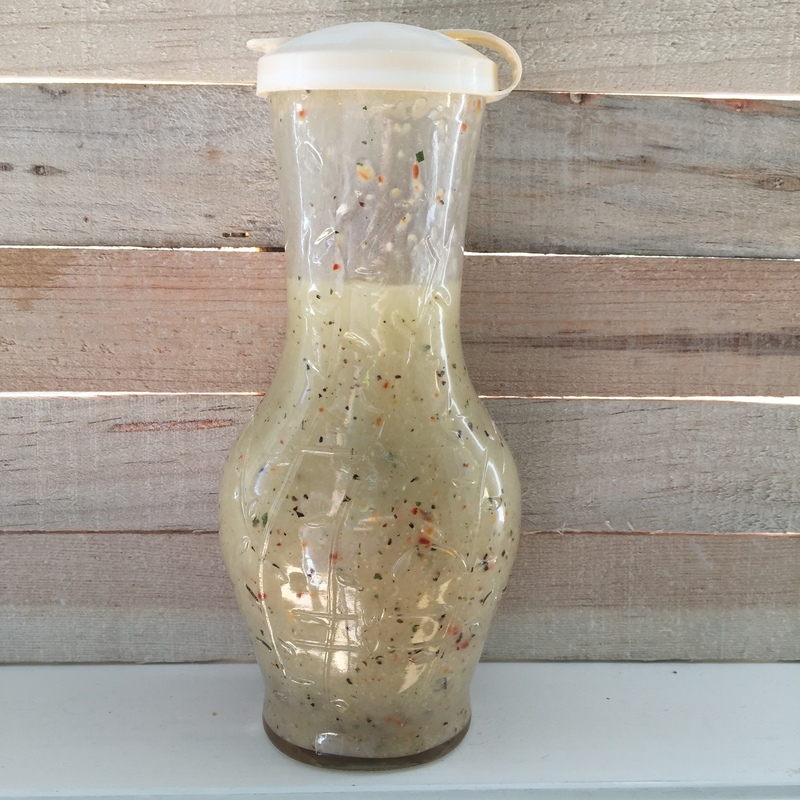 This entry was posted in 52 Week Challenge, Company Worthy, Pot Luck, Salads and tagged 52 week new recipe challenge, homemade salad dressing, Italian salad dressing, Olive Garden salad dressing copycat, salad dressing. Bookmark the permalink.